Denver Realtor Alan Larson, of The Larson Group at Kentwood Real Estate, answers the top five FAQs of homebuyers. However, if you can wait until November or December, that is typically the best time to buy since interest rates are usually at their lowest and sellers are more motivated. Buying a home is a dream come true for most. “However, many potential buyers are unaware of what that entails,” said Alan Larson, group leader of The Larson Group and Broker Associate at Kentwood Real Estate. To educate buyers, Larson answers the most frequently asked questions. Q1. How much home can I afford? Q2. When is a good time to buy? Q3. When is the best time to sell? A. The best time to sell is from February-May. August is historically the slowest month for real estate sales. Q4. What are HOAs and how much do they cost? Q5. What is the best website to find homes for sale? A. In the Denver metro area, the most accurate and up-to-date site is REColorado.com. This is our MLS and is the site where all Realtors input their new listings, price reductions, and properties under contract. The data will show up instantly upon input, as opposed to most of the other websites that have a delay of a day or two for data to be received. The Larson Group is a member of the Denver Board of Realtors, the Colorado Association of Realtors, and the National Association of Realtors. They service the Denver Metro area, including Douglas, Arapahoe, Jefferson, and Denver Counties and Douglas County. In addition to Alan’s 33 years’ experience selling homes in the Denver metro area, the other Group Members have vast applicable experience. In addition to their real estate sales experience, Nate Myers brings over 10 years’ experience in lending and insurance, and Todd Landgrave comes from a background of real estate appraisals. For more information, please call (303) 888-5064, or visit http://www.alanlarson.denverrealestate.com. 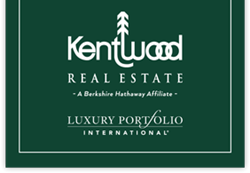 Kentwood Real Estate is located at 5690 DTC Blvd., Suite 600W, Greenwood Village, CO 80111.